In today’s world that we call a global village, everything is measured on a global level. Even things that are local to your country are often assessed by the quality and benchmarks to that of a global name. For example, any food chain or new adventure in your country will be measured against the global adventure or food chain in the country. For this reason, having the exposure and knowledge of what goes around in the world is more important rather than just restricting yourself to a limited open field. Not only that, the know-how of cultures and people around the world is also very useful in a variety of different ways. You may be on an edge in comparison to others if, for example; you know a certain foreign language. Today, with the ease and convenience of so many learning sources available at our disposal, learning a foreign language and understanding the cultures of the world is not really as complicated as it sounds to be. Today’s guest post blog is going to talk about reasons why learning a foreign language of any country might be a good idea and how it can be useful for you. 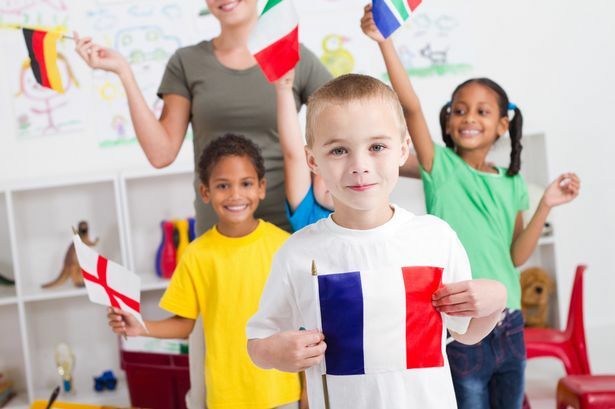 The first and foremost reason to learn a foreign language, especially the language of the country where English is not so common is that it gives you access to the general public. You will be able to communicate with people in the language that they prefer which means they will also like you and respond to you in a positive manner. Similarly, learning a foreign language eliminates the communication barrier and this means that you face no complications in adapting to a country where English is not so common. When you put hard work in ensuring that you know the language of another country in order to communicate with the people, they start to like you. They acknowledge the fact that you have made sure you respect the language and their culture, which means now it is their duty to make you feel welcome as you have already done your homework. Countries like France are the prime examples of such generosity. Bilingual people always can find better opportunities than people who just know a single common language. Not only in jobs, but also in other fields and places if you know certain foreign languages, you can find yourself good opportunities around the world. Finally, the last reason and benefit that you get from learning a foreign language is the knowledge and exposure you will receive. Today’s world is all about being at your highest intellectual level and having that exposure in your life which makes you different from others. Not everyone will learn a new foreign language and this is what will set you apart. It will also add to your communication skills and you can use it to impress people around you. The language knowledge is always a sacred treasure to have with you and learn. Edina Clark is the author of this blog post. Edina works as a Manager in the Middle Eastern region and he has recently learned some basic form of Arabic. He likes to post about can someone do my essay for me and his blogs are highly appreciated by the website due to their insight and knowledge based research.